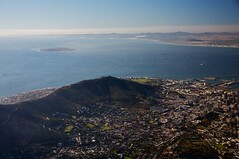 Winter has finally set in, in our beautiful city of Cape Town. The kiss of the rain is one of the most beautiful gifts in this life. The crisp fragrance of the ocean makes me want to walk along the beach in the pouring rain. We are having our first winter promotion at Earth Born Beauty. 25% off our entire GRATiAE range from the 23rd June to the 7th July 2011. GRATiAE is our pioneer product at Earth Born Beauty and although I love all of the products we promote, GRATiAE is my personal favourite. For more information on the GRATiAE philosophy, research and ingredients; please view the tab on the top right of this page. You may view the entire range at our online store at http://www.earthbornbeauty.net. GRATiAE has to be the most effective and luxurious certified organic skin care range on the market today.